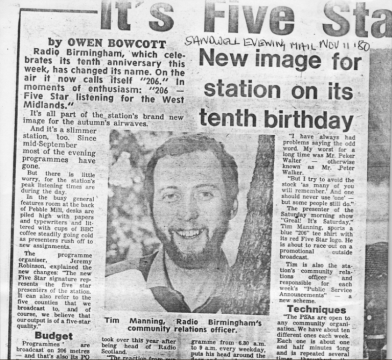 This is a report from the Sandwell Evening Mail in November 1980 about the re-branding of Radio Birmingham as “206”, and the tag line ‘Five Star Listening’. 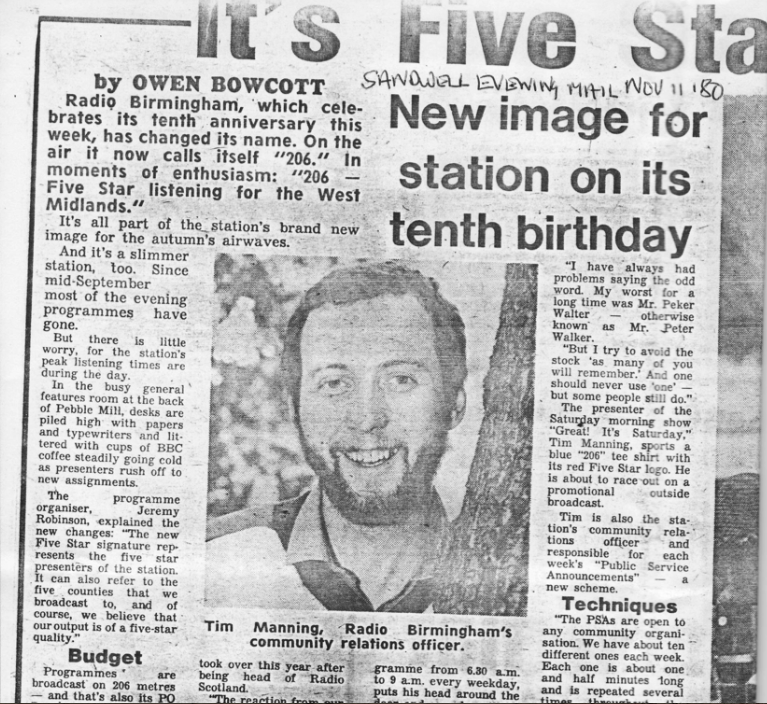 According to the article the ‘five star’ could refer to the 5 main presenters, the five counties ‘206’ broadcast to, or to the quality of the station! 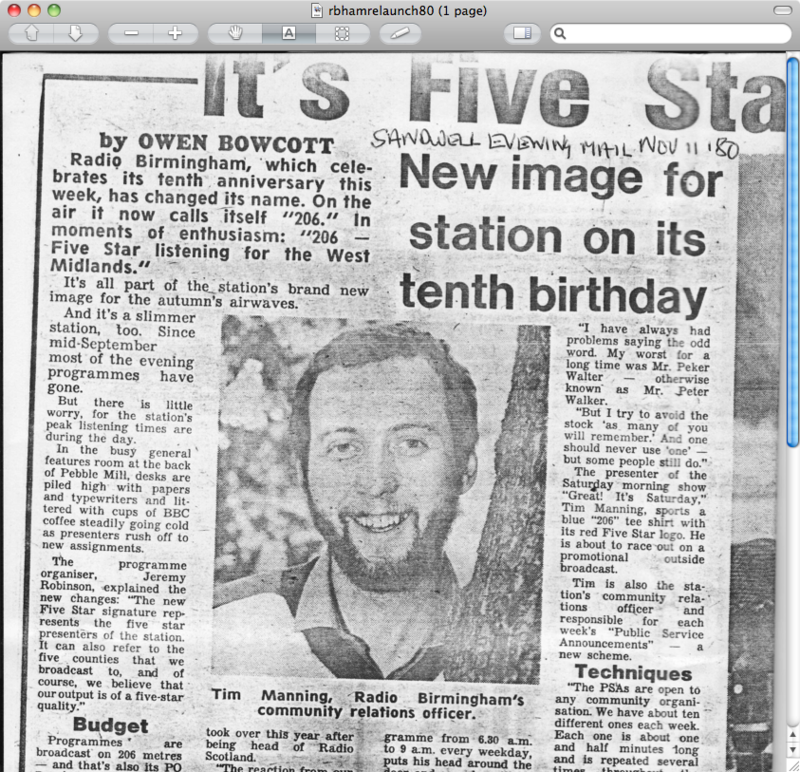 The article features a photo of Tim Manning, Radio Birmingham’s Community Relations Officer. 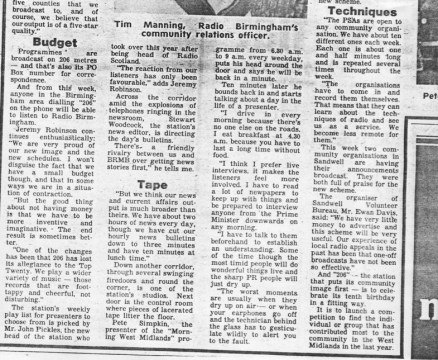 Thanks to Tim Manning for making the article available. 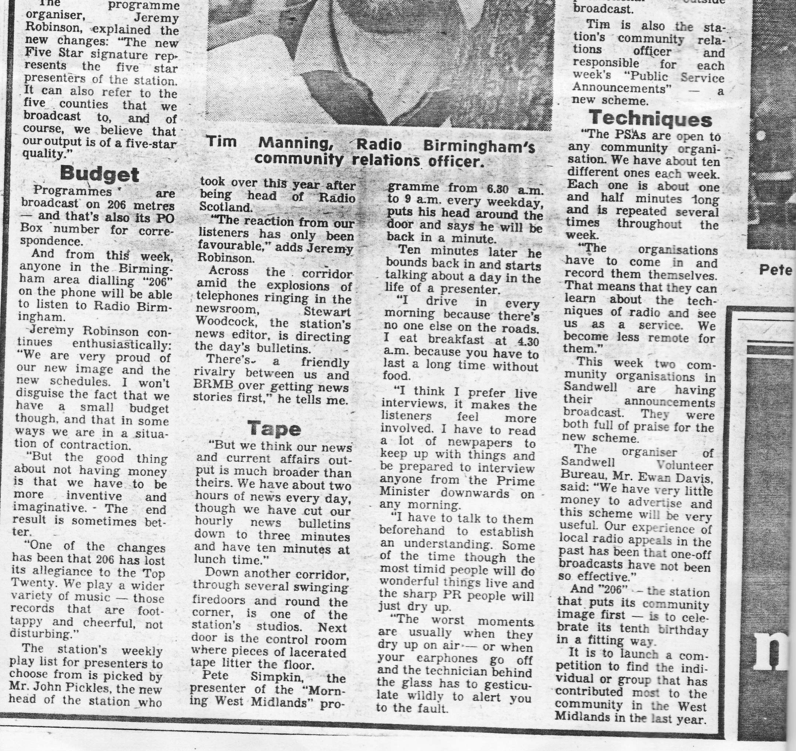 Well done Tim……….gosh how long ago! 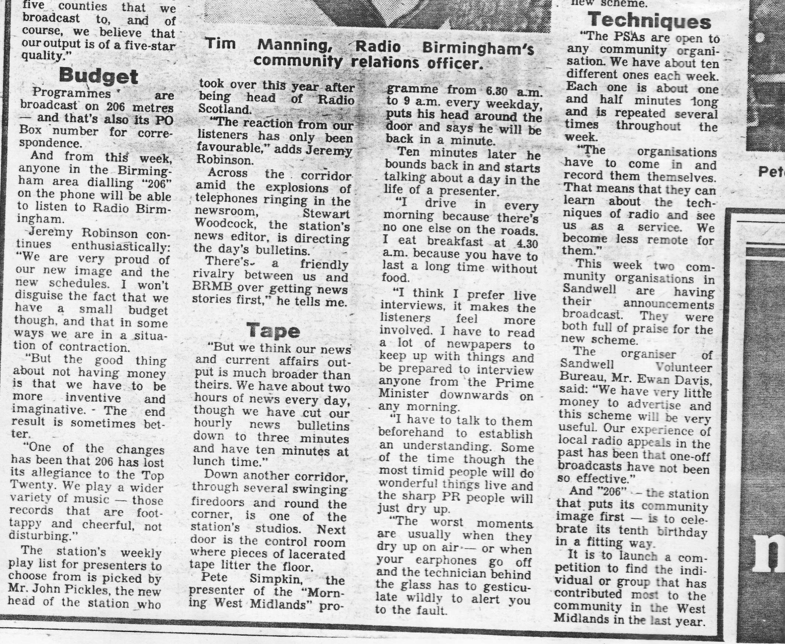 Enjoyed reading my thoughts on the Breakfast ‘Morning West Midlands’…..I remember the animated discussions about the title……JP wanted it said as a newspaper deadline, I wanted to say it as a greeting!